My keynote remarks at the UN General Assembly’s High-Level Event on Innovation and Technology – SDG Innovation. Good morning. It’s a great privilege to be here with you today. My name is Reid Hoffman. I’m the founder of LinkedIn and a partner at the venture capital firm, Greylock Partners. We’re here because we have a shared vision of a better future world. A world where poverty is reduced by half by 2030. Where agriculture grows more productive but also more sustainable. Where every child has access to quality education and every adult has productive employment. The UN Sustainable Development Goals are both optimistic and achievable. We recognize we can only get to that better version of the world by 2030 with massive innovation. To succeed, we will need innovation that is both original and deployed at global scale. To achieve that vision, we need new technologies; new collaborative strategies between governments, NGOs, and the private sector; new methods of sharing and scaling what works. The question is: what is required in order to achieve these technologies and these strategies? The short answer is networks and entrepreneurship. the business models to sustain and grow. Entrepreneurs find the right innovations from networks and build them into products and services with business models. These business models might be focused on economic profit, even as they deliver key new technologies that increase quality of life. Or these business models might just fund the global availability of products and services with minimal profits. So, let’s start with networks. In a sense, the United Nations has the potential to be a great connector of networks—a network that helps other networks connect. For networks to work, they require connection. Information and communication needs to flow. Specifically, the right information needs to get to the right people. At LinkedIn, we try to match job-seekers and companies with each other by using the network. In short, we connect talent with economic opportunities. Then, in addition to communication, the network needs to establish the ability to transact safely, reliably, and quickly. The task may be establishing a partnership; it may be selling a product or service; it may be financing a venture. So, the network needs to have a framework to evaluate and establish trust. The UN can work to establish networks—not just between the member states—but also with the right businesses, the right NGOs, the right universities, and even the right technology inventors. These networks are key, because it’s network collaboration that generates the right innovations. So, why is entrepreneurship key? Many of the great inventions will come from new opportunities, new ideas—especially in response to challenges as great as those we face. Challenges which are exemplified by the Sustainable Development Goals. Entrepreneurs are the individuals and teams who put together the various insights and resources from networks—and then work to build the organizations that provide the new products and services. In my personal experience, entrepreneurs are essential to innovation—either founding a new business or working within an existing organization. Entrepreneurs take the ideas and make something from nothing. We need entrepreneurs of all sorts. Commercial entrepreneurs can mean more than economic profits. They can bring returns to society, too. And there also need to be social entrepreneurs and intrapreneurs within organizations. Why do I stress this? Because entrepreneurs challenge the way things are; they challenge the status quo. And we—those of us who govern the status quo or have powerful positions within the status quo—need to make room for entrepreneurs and encourage them. To achieve the UN Sustainable Development Goals, governments, NGOs, and the private sector must all work together to unleash a massive wave of entrepreneurship that generates breakthrough companies at a record pace. That’s how we’ll create cleaner, more affordable power. That’s how we’ll produce and distribute more food. That’s how we’ll create hundreds of millions of new jobs for the growing, global middle class. To succeed, entrepreneurs need networks. Networks of capital. Networks of talent and expertise. Networks of customers and trading partners. Networks of distribution. Governments, in turn, should leverage their power as rule-makers and conveners, and help develop the networks that help entrepreneurs turn their breakthrough ideas into scalable businesses. For example, in Finland, broadband Internet access is enshrined as a legal right—because the Finnish government recognizes how important Internet access is now to personal and professional development. In Chile, the government helps facilitate networks of talent and expertise through a highly selective seed accelerator program called Startup Chile, which offers international entrepreneurs a one-year visa and grants of around $30,000 to develop their business ideas in Chile. In Germany, the government partners with local industry and unions on an apprenticeship program in which nearly 60 percent of the nation’s young people receive extended training in hundreds of occupations. This ensures that local businesses have a highly skilled workforce to draw upon, and that millions of German citizens acquire skills and expertise that are in high demand from employers. At LinkedIn, we are developing something we call the Economic Graph—a corpus of information that will ultimately map the professional profiles of roughly 3.3 billion people in the global workforce; every full-time and part-time job opportunity; and the skills that are needed to obtain those jobs. We are now sharing information from our Economic Graph with governments and NGOs around the world, to help countries, states, and cities better develop the kinds of networks that catalyze entrepreneurism. In India, the Government of Kerala is using LinkedIn’s data insights and technology to understand skills in demand, to design appropriate curricula, and to connect job seekers with mentors and other support mechanisms and ultimately to jobs. In London, the Greater London Authority incorporated LinkedIn data about current employer skills requirements into its Digital Talent initiative, a 7 million pound sterling fund designed to help young people get the right skills to fill jobs in London’s digital, creative, and technology sectors. We also have a multi-year agreement with the World Bank to develop a “Competitiveness and Insights” dashboard for over 300 cities across the world. This partnership will enable both the World Bank and local policymakers to evaluate the entrepreneurial capital of cities. Our “entrepreneurial index” will capture the movement and growth of entrepreneurs in a given city, and measure the strength of their local and global networks. This will help these 300 cities track how well they’re producing and retaining entrepreneurial talent, and lead to better, more data-driven decisions about the economic and education policies these cities are using to facilitate business development and innovation. As projects like these suggest, the tools are now available for assessing overall economic conditions and intelligently improving them. Similarly, the technologies that researchers and entrepreneurs around the world are developing in AI, robotics, genetics, transportation, energy, and more have the potential to dramatically improve lives for billions of people. But we will never achieve the more equitable and prosperous world the UN Sustainable Development Goals envision if it’s just venture capitalists and entrepreneurs making bold bets on the future. Government and civil society leaders must act boldly too—and look for opportunities to enable entrepreneurship and innovation. Of course, in times of great technological change, there is always the urge to hit the brakes and slow down. But while we certainly should move forward with thoughtfulness and prudence, our focus should always be on the future—and on the technologies and policies that will create new industries and new jobs, and the next wave of prosperity. Enshrining the past through policies that protect entrenched interests will not produce the kinds of major breakthroughs we’ll need to achieve the UN’s ambitious and inspiring vision of a better world. 2017 is no time to look backward or inward. Now, we must experiment, innovate, and collaborate to build that future for generations to come. I look forward to working with and learning from you all. 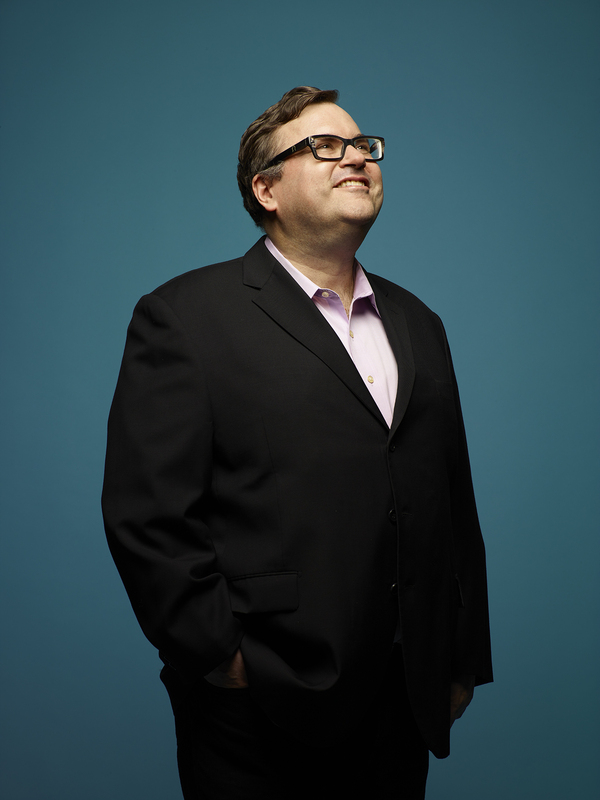 Reid Hoffman is a partner in the venture capital firm, Greylock Partners, Co-founder of LinkedIn, and host of the Masters of Scale podcast.